The Latest Designer Products f.. Telling The Story of Jardan’s .. The way the kitchen is used as a space within the home has changed and this poses interesting questions for architects, designers and design lovers. No longer a utilitarian space simply for the preparation of food, the kitchen has become a space for entertaining, creation and excitement. 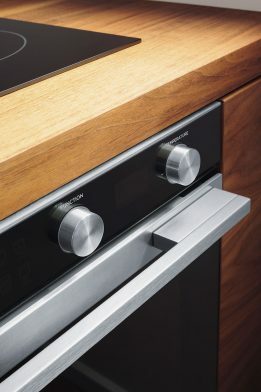 The design team at Fisher & Paykel cares about the way kitchen use has changed, and how they as designers can respond. From their research centre in New Zealand, Fisher & Paykel have helped shape the way we see the kitchen as the heart of the home. Knowing the importance of knowledge in this rapidly evolving world, the Fisher & Paykel case study programme is an on-going project that allows the team’s designers to identify and stay ahead of developing global influences, trends and behavioural shifts. 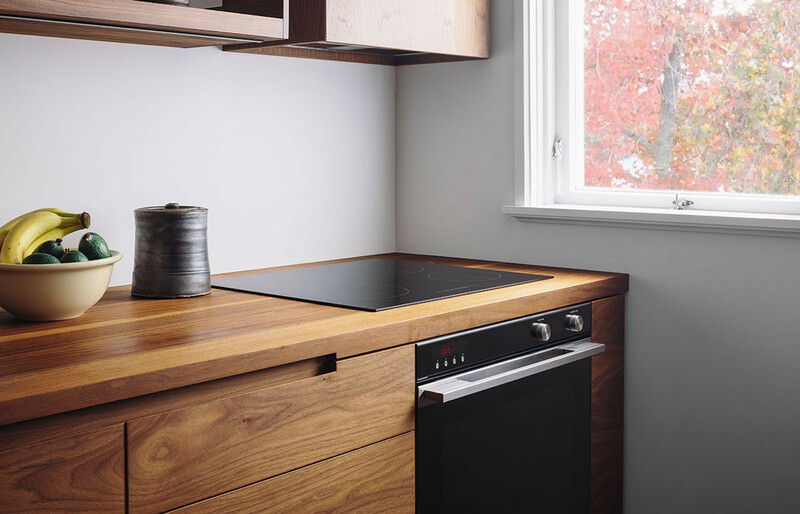 Simone Stephens, a Fisher & Paykel senior industrial designer, heads this programme, working closely with leading international architects and designers who install Fisher & Paykel appliances into new homes and renovations in New Zealand, Australia, North America and Europe. 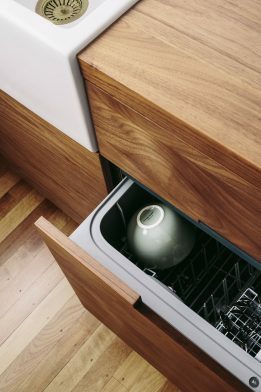 With this space premium changing the way we see our kitchens, it’s not surprising that the concept of “the kitchen as furniture” has emerged in design, with innovative designers creating kitchens where some or all of the appliances can be concealed in cabinetry that matches the surrounding landscape of the house. 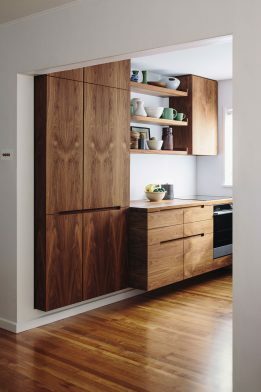 In both compact and larger open-plan kitchens, designers are looking at ways that appliances can be integrated seamlessly into the cabinetry, playing with concealing some appliances, for example the refrigerator and dishwasher, in order to showcase others, like the gas range, in an otherwise seamless and minimal space. 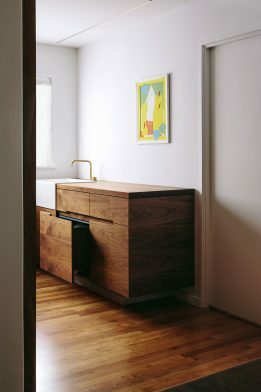 Many designers are also taking the idea a step further, creating discrete and freestanding cabinetry that has the same material, scale and aesthetic qualities as the rest of the furniture, breaking down the traditional boundary between kitchen and living spaces. 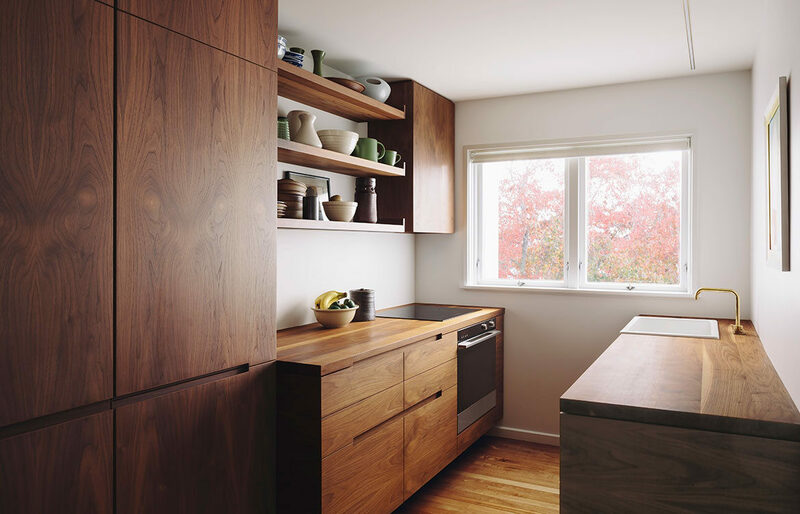 Lifting a cabinet off the floor on legs helps a floor plan feel more expansive. Additionally, containing appliances inside these pieces of “furniture” allows the kitchen to function aesthetically and practically as part of a single cohesive living space, no matter its size. For architects and the design conscious, this offers opportunities to plan kitchens that are almost endlessly customisable to their needs, offering true design freedom. 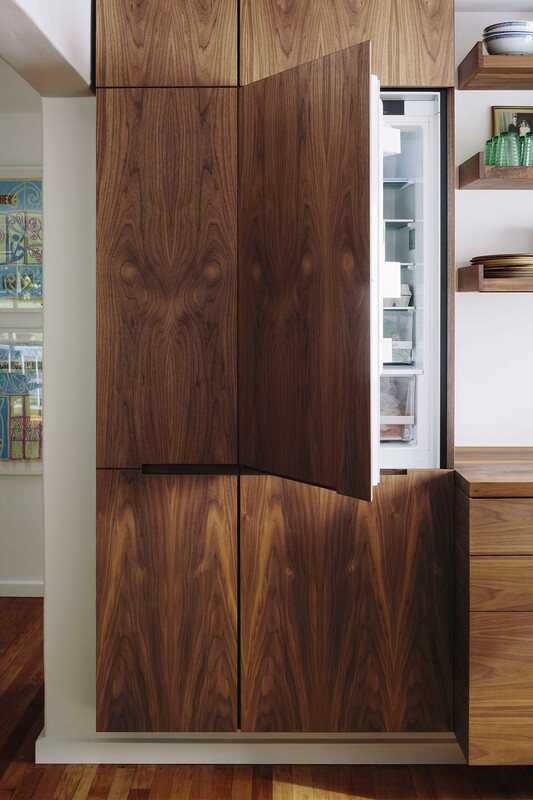 One of the side effects of the “kitchens as furniture” trend is a renewed interest in craftsmanship, refinement and materiality, as in this Auckland kitchen, where designer Nat Cheshire created floating blocks of walnut cabinetry that resemble freestanding furniture, in the process creating an intimacy and warmth that mirrors the adjacent living spaces of this compact mid-century apartment. “Designing kitchen units as individual furniture creates a continuity of materials across the home that allows appliances to be discreet and integrated,” says Simone.